Firm: Ogletree, Deakins, Nash, Smoak & Stewart, P.C. If you have any questions or need assistance, please contact us at info@bestlawyers.com or 803.648.0300. 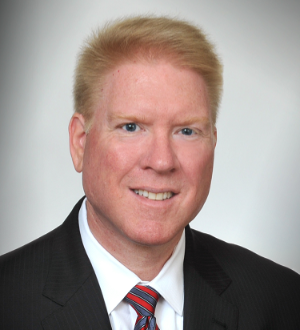 Bill Grob focuses his practice exclusively on labor and employment law representing management. He has served as lead trial counsel in cases in federal and state courts, and has extensive experience as lead counsel in a variety of labor and employment matters, including numerous collective actions, involving wage/hour and overtime litigation, race discrimination, disability discrimination, leave issues and harassment. Much of Bill’s practice involves enforcing and defending non-compete covenants, obtaining injunctions, litigating employment issues, and representing staffing companies, restaurants, and employee leasing companies. Bill has also been a featured speaker at numerous employment and education law-related seminars for managers and organizations throughout Florida and the Southeast.Bill formerly served as a member of the Board of Trustees for the Polk Theatre in Lakeland, Florida for six years; was Legislative Chair, President and currently is the Immediate Past President of the Suncoast Human Resource Management Association (SHRMA) and is the former co-chair for the Labor & Employment Section of the Hillsborough County Bar Association (HCBA).Before graduating from high school, Bill worked with his father in the family business involving the sales and reconditioning of athletic equipment. After college, Bill worked in human resource management and operations for approximately five years. During law school he served as a law clerk for the Georgia Supreme Court and Georgia Court of Appeals, and he worked in the labor and employment section of the United States Department of Health and Human Services Regional Office of General Counsel in Atlanta.